into the soul and a testament to life’s journey and how it has influenced you. This journey is the spark for creativity and catalyst for the vision that becomes my art. It is my goal to speak through my art and have it tell a story. My art is me reaching out to others. art and collage using found and repurposed objects. 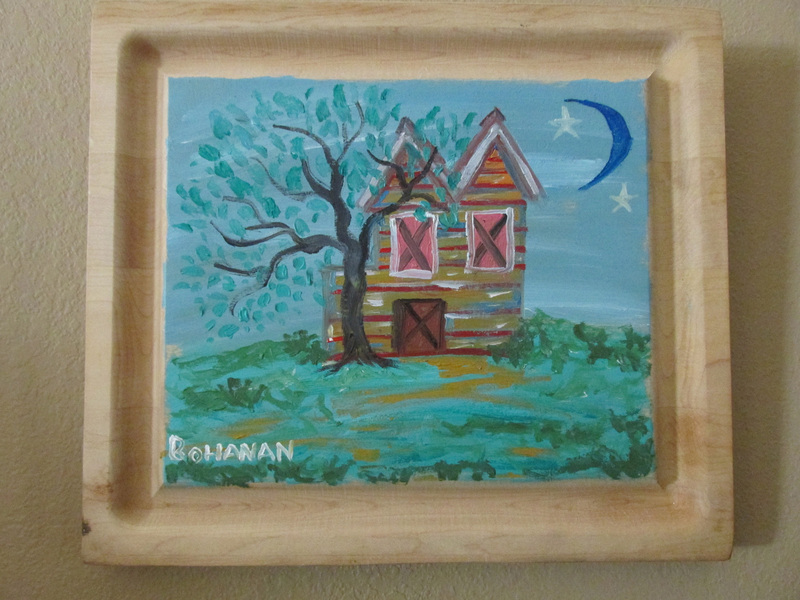 I feel reusing materials in many ways complements my style of art and I use most of my reclaimed wood to frame my pieces or even become the canvas itself. 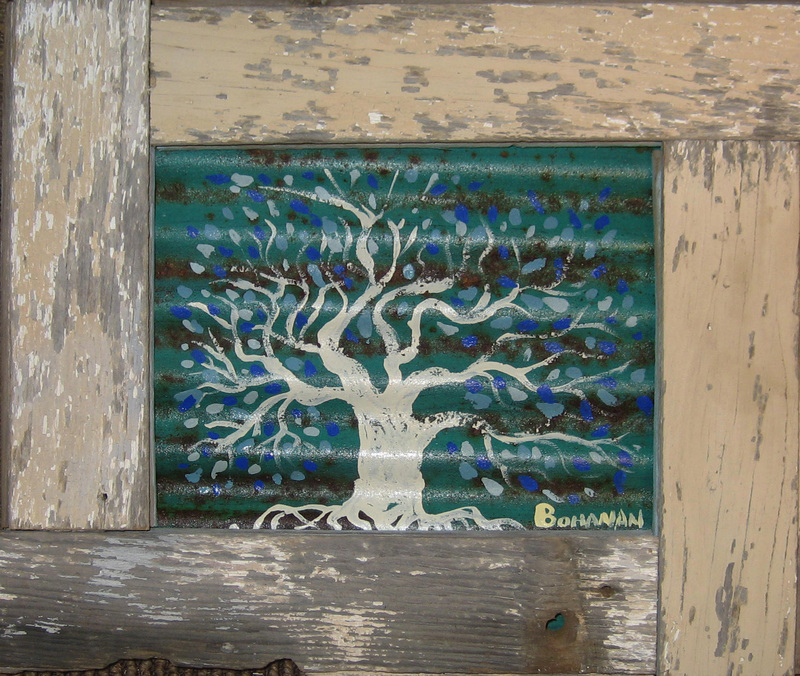 Many paintings incorporate salvage materials that I collect from traveling the art circuit through the southeast. Art has been my full-time profession for over ten years. I’ve participated in over 200 juried and non-juried art festivals as well as solo shows. I am currently featured in Ice & Coal Gallery.